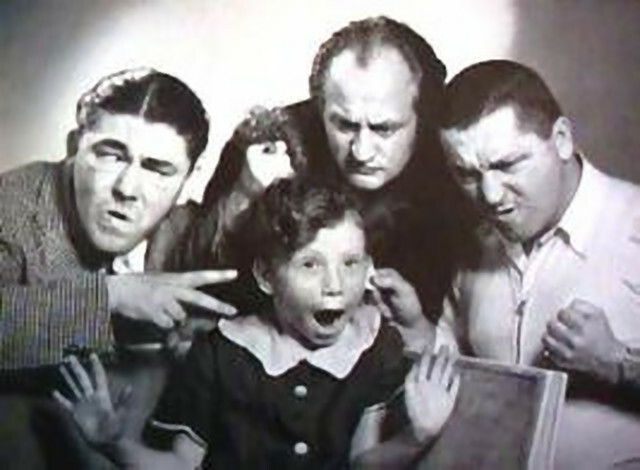 the three stooges & joan howard maurer. . Wallpaper and background images in the Three Stooges club tagged: the three stooges curly moe larry joan howard maurer. This Three Stooges photo might contain picha, headshot, and closeup.